Moving your family into a new house or apartment is a big task and it takes a lot of responsibility to get the job done right. You’ll want to make the experience enjoyable and reduce stress for all family members. Moving with children is one thing, but pets are also part of the family and need to be taken into account. You don’t want to forget about how your cat or dog might feel when you’re moving into a new place. Even lizards and birds can easily become anxious when moving to a new home. Consider your animals during your move and make it a pleasant event for them. Try these four easy tips for moving with pets. Before you move, research the best vets that are located in your new town. It may be best to ask your old vet if they have any recommendations. After all, they have become well acquainted with your pets, so they know what routines and procedures work best for them. Get copies of all your vet records to show to your new vet. This way, you can both easily keep track of your pet’s visits and medical procedures. You’ll want to know the area before you move to ensure that you and your pet can quickly become accustomed to your new surroundings. A pet that accidentally gets out can easily get lost if they are unfamiliar with the neighborhood you are moving to. If you have an animal that goes outdoors such as a dog or a cat, map out some places that you think they would like. Walk with your cat or dog around those areas right before you move, and they will have something to look forward to after moving into your new house or apartment. 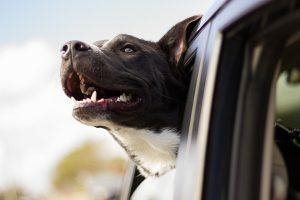 If you are planning to travel a long distance with your animal, you’ll want to find the best pet friendly hotels you can stay in along the way. Even if it’s a short trip to your new house or apartment, pack some toys that your pets can play with on the way there. Don’t forget food and water! Your animals are bound to become hungry during your travels. Plus, everyone needs a wiggle break during a long car ride. Be sure to make stops during your journey to ensure that your animals are safe and comfortable. Play with them as you normally would at your old home, and make sure they have time to stretch and eat. If you want your animal to feel relaxed in your new home, try to make friends in your new city as soon as possible. Once you begin the moving process, introduce your family and pets to your new neighbors. Maybe they will even have some animal friends for your dog or cat to play with. The sooner your animal meets new people and pets, the sooner they will become accustomed to being around them. In turn, your pet will quickly find comfort in your new home. 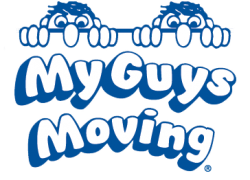 If you’re in the Virginia Beach area, call My Guys Moving to assist you with your move so you’ll have more time to spend with your pet during this eventful period of their life.